The Bionics Instrument gas detectors are the gateway to continuous selective and reliable gas detection, classified for inside and outside use in hazardous areas. As a supplier to the chemical industry, Bionics Instrument is particularly strong in the detection of low levels of CL2, HF, HCL, HCN, VC, AN and many other gases. As a result, the chemical industry can welcome new, even better gas detectors. 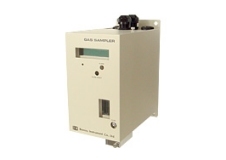 Some gas detector suppliers offer their products at low prices, but eventually only total cost of ownership matters. How long does the sensor of a cheap gas detector last? What gases and what range will they detect? Most sensors 'die' once they have met with overexposure. And what is the price of the sensor. And what is the price of the sensor that has to be renewed? During regular maintenance of the Bionics Instrument gas detectors only the electrolyte and membrane are replaced. The sensor element itself will last for many years. On some sites, Bionics Instrument gas detectors still work flawlessly after ten years of operation. That makes them unsurpassed in cost-effectiveness. In the long run, customers are better off with Bionics Instrument gas detectors - and the sound service and support that comes with them.